Still reeling from the reveal of the official Android Marshmallow statue at the Googleplex and the confirmation that the new version is Android 6.0? Well hold on to your butts, because there's more coming. In addition to the new reveals, Google has published the third version of the Android M Developer Preview. Presumably this latest release is pretty close to the final version that we should be seeing on new devices and over-the-air updates later this year. 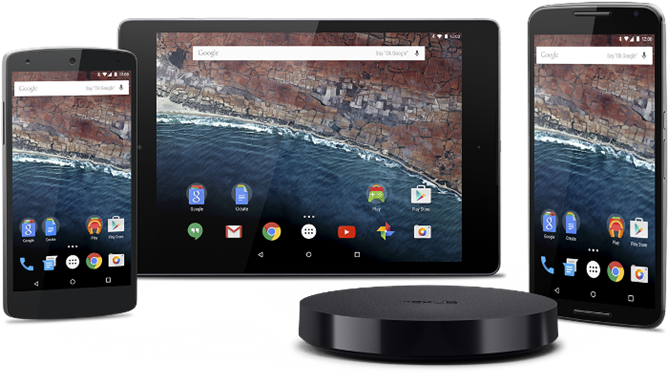 Like previous versions of the Developer Preview, stock software builds are available to flash on the Nexus 5, Nexus 6, Nexus 9, And Nexus Player. You can download the TGZ files for a manual flash from Google's Android Developer page right now. Over-the-air updates should be coming any time now, and we'll be sure to let you know when they do - if you want to flash over your current preview without losing any data, it's best to wait. According to this blog post, the changes are fairly minimal, limited to a simple adjustment to the permissions UI and the Fingerprint API (which shouldn't affect any of the current preview hardware). As is our wont, Android Police will be poring over any other possible changes in the new phone, tablet, and Android TV builds over the next few days. Stay tuned to see what we find.